Want to make some special and professional designs for your lovely baby? The answer is absolutely positive. But someone will claim that they are unable to finish what they want. Now, with the help of online photo tool FotoJet, you will never worry about it. 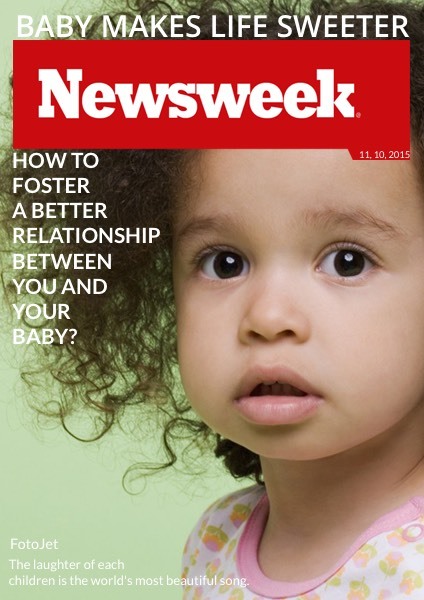 FotoJet offers many handy tools for you to customize fake Newsweek magazine covers. Just click to add baby photos to make your own magazine cover, effortless yet beautiful.